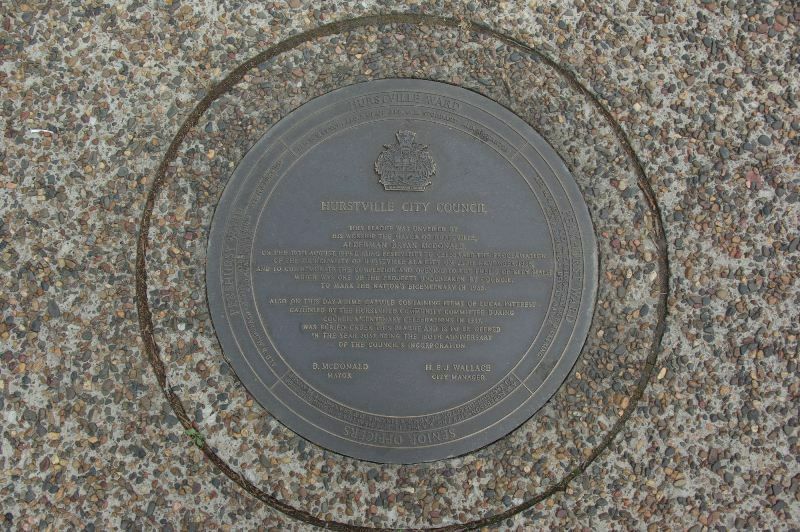 A plaque commemorates the proclamation of the Municipality of Hurstville as a city on the 25th November 1988. 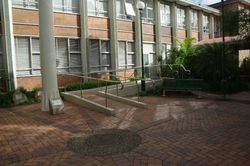 It also commemorates the completion and opening of the City Mall which was a project undertaken by Council to celebrate the nation's bicentenary in 1988. 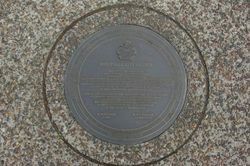 A time capsule containing items of local interest which were gathered during the Council's centenary in 1987 was buried under the plaque and it to be opened in 2037. ON THE 19TH AUGUST 1989, DURING FESTIVITIES TO CELEBRATE THE PROCLAMATION OF THE MUNICIPALITY OF HURSTVILLE AS A CITY ON THE 25TH NOVEMBER, 1988. AND TO COMMEMORATE THE COMPLETION AND OPENING TO THE PUBLIC OF THE "CITY MALL," WHICH WAS ONE OF THE PROJECTS UNDERTAKEN BY COUNCIL, TO MARK THE NATION'S BICENTENARY IN 1988. 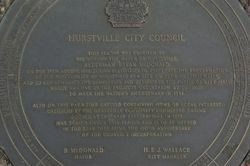 ALSO ON THIS DAY A TIME CAPSULE CONTAINING ITEMS OF LOCAL INTEREST GATHERED BY THE HURSTVILLE COMMUNITY COMMITTEE DURING COUNCIL'S CENTENARY CELEBRATIONS IN 1987, WAS BURIED UNDER THIS PLAQUE AND IS TO BE OPENED IN THE YEAR 2037, BEING THE 150TH ANNIVERSARY OF THE COUNCIL'S INCORPORATION.